Chances are you’ve come across the word Bitcoin several times – at the very least, in some general finance related news. It’s also likely you have been dismissing the cryptocurrency as another gimmick, unless you followed the spike in its value at any point where, say, PayPal malfunctioned, and counted exactly how much a geek who’s had his saving in bitcoin earned that way. In which case you’d know that since its introduction in 2008 Bitcoin has risen in value. Like really, it has: in its infancy, during negotiating the possible value of transactions on the bitcointalk forums, one notable transaction of 10,000 BTC was used to purchase two pizzas. Today 10,000 BTC equals to 16,005,600 US Dollar, so over 16 million dollars. This growth was achieved in less than 10 years. Now would be a good time to wonder why businesses are starting to pay attention and governments are beginning to take digital currency into account and making standards for it rather than suppressing it. The answer is in the principle behind it and, ironically, in the security, it provides to the user. Bitcoin network is fully decentralized and is meant to exclude trust-reliance and intermediaries from the financial operations: a direct transaction between users recorded in a public ledger. No single party has the power to issue new bitcoins or approve Bitcoin transactions. The shared transaction register is called the blockchain. And it’s this technology that is of particular interest to businesses. While bitcoin as an equity is still difficult to project surely enough to view as an investment, its success key, blockchain technology, can and should be used for business processes improvement. Much like TCP/IP drastically lowered the cost of connections, blockchain has the capacity to reduce the cost of transactions, which makes it a very efficient system of record. Tracking and recording continuous transactions, analyzing performance rates based on those and making plans for future – all of those processes are inalienable for a business. Most businesses have no single compound record of all the activities; instead, data are distributed across internal units and then reconciled across ledgers, which takes time and leaves space for human error. In simple words, blockchain is just a way of handling databases, the ultimate ledger. Only a highly efficient, secure, and verifiable one. In a regular business operations system there are numerous dissimilar databases for various activities of a company: changes to them are made separately, and then you spend resources to compile the whole thing together. This is, in terms of resources, the opposite of optimal and efficient. Secure, decentralized, shared publicly, trusted and automated. This is exactly the kind of solution that modern professionals would want and software developers would be looking to develop. The most important fact about blockchain is that its applications are not limited to banking and financial industry – its principle can be used for other business improvement purposes, including smart contracts or establishing secure documents transfer system, network infrastructure or marketing forecasts, and many others. 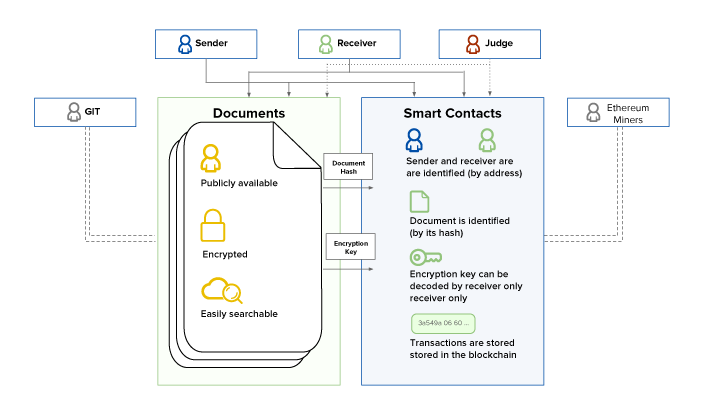 In establishing secure documents transfer networks blockchain provides an invaluable advantage because of efficient cryptography and decentralized structure. This sets the foundation for broadening the scope of typical smart contracts from just financial sector to legal sphere, real estate, intellectual property and much more. Whether you need to improve identification and authentication solutions or introduce a supply chain verification system, or shared economy solutions for, say, ride-sharing services – there’s a whole new frontier in business systems organization. Distributed ledger technology can be tailored by professional software developers for various business optimizations. Retailers should look now to take full advantage of blockchain’s benefits for the future.